Kendal at Oberlin understands the important role cultural activities play in the enjoyment and happiness of many individuals. It allows people at any age to broaden horizons, expand boundaries, and explore the world around them. 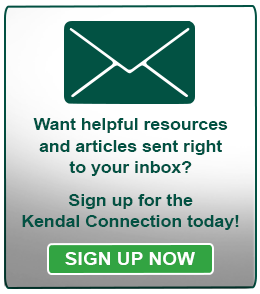 With this in mind, the Kendal community strives to incorporate cultural opportunities into the daily lives of residents. Residents have the option to enjoy many concerts, shows, plays, and lectures offered on the campus of Oberlin College, less than one mile from Kendal. There are a wide range of opportunities to explore culture in the Oberlin community, as well as on-site at Kendal. And Kendal at Oberlin is conveniently positioned to take in cultural events and opportunities in Cleveland, which is only a short 40-mile drive away. Kendal at Oberlin offers abundant opportunities for residents to appreciate music, including weekly gatherings to listen to jazz, performing musical and theatrical productions, as well as performances at the Oberlin College Conservatory of Music. There is a wide array of cultural perks of life at Kendal at Oberlin when it comes to music. The Conservatory offers the opportunity to take in captivating chorale performances, solo vocals, and instrumental performances, as well as orchestral performances, small group ensembles, and more throughout the year. Kendal not only offers the opportunity to participate in visual arts by taking art classes and enjoying fine art exhibits in the three galleries on Kendal’s campus, but you can also visit the Allen Memorial Art Museum in Oberlin. This outstanding art museum is open to the public free of charge and is located within walking distance of Kendal. Additional opportunities to soak up a little culture come in the form of art or music history and appreciation classes at Oberlin College. Oberlin residents over the age of 65 can audit classes at Oberlin College free of charge as long as they have permission from the professor. The Lifelong Learning Opportunity extends to all community residents. Art and culture come in many forms, and the written word can be poetic, enticing, exciting, titillating, and stirring. The pen, they say, truly is mightier than the sword, and Kendal at Oberlin invites community members to share their words and stories through Resident Stories on the web site and through Eureka, a periodic magazine of literary works, organized and produced by residents. The world of retirement living is changing. Many view it as an exciting time in their lives, an opportunity for growth and learning. Living in a vibrant, energetic community filled with opportunities to take in cultural attractions such as libraries, museums, and galleries along with musical performances, dance recitals, theatrical productions, and more, provides food for the soul. 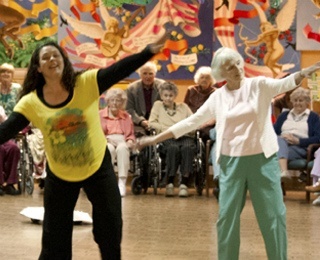 The ability to participate in these things, as a performer, director, artist, or writer, provides an outlet for the creative energy within.. It’s retirement living at its very best. What kind of cultural activities do you enjoy? Tell us more below!